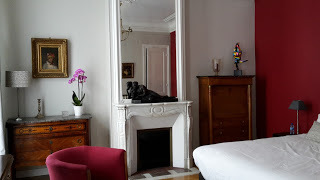 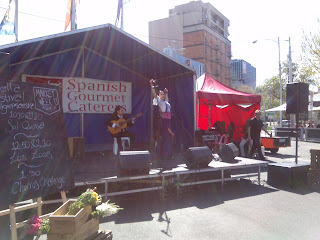 R chose a good week to visit Melbourne because Sunday we had a Spanish morning followed by a Mexican afternoon. 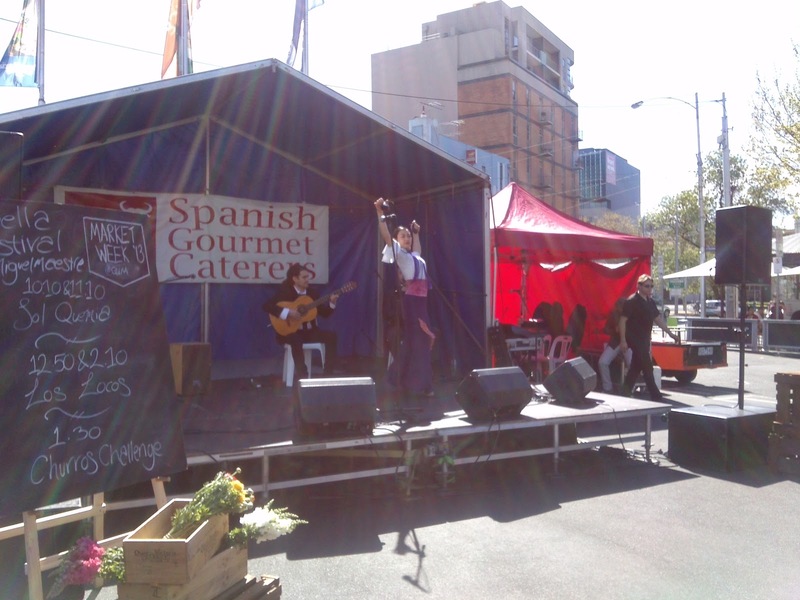 The weather was amazing with blue skies and so much sunlight that kept making me sneeze. 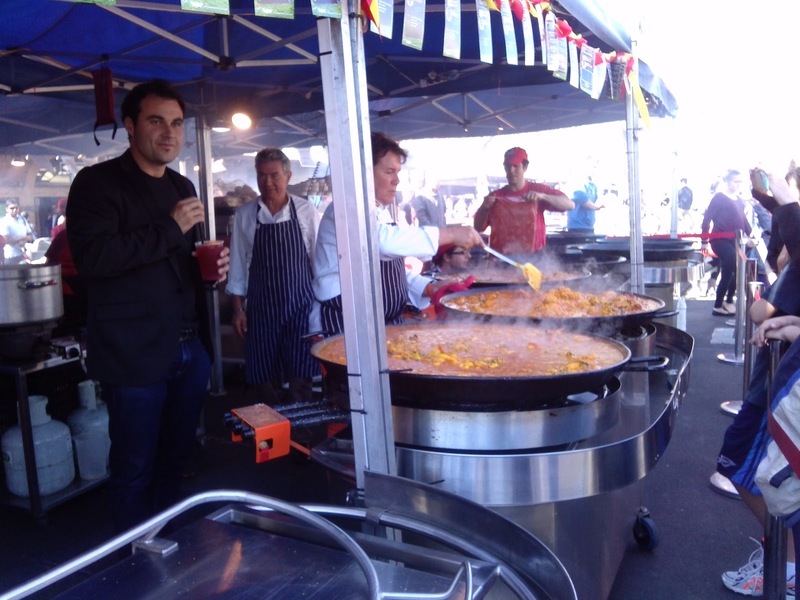 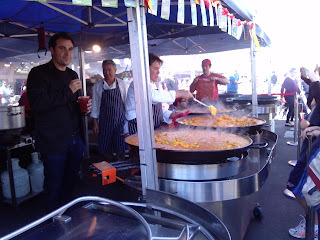 Queen Victoria market was celebrating its last day of the Market Week with a Paella festival. 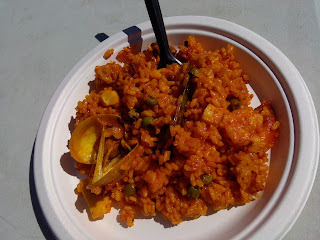 I love paella!! 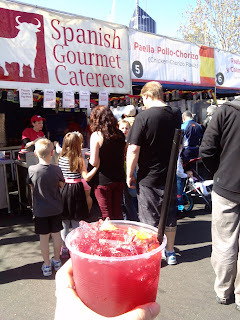 We each got a seafood option with sangria that was just pretty coloured fruit juice but still thirst quenching on the beautiful morning.